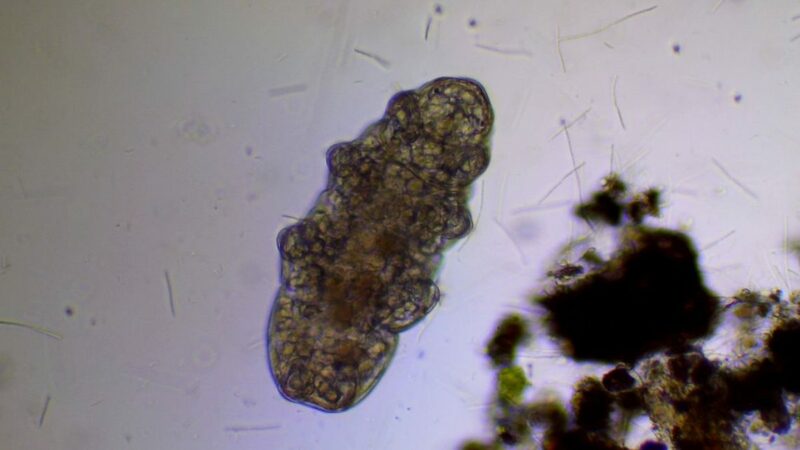 Tardigrades are water microbes (or water bears) that can survive in extreme conditions and can withstand very high energy cosmic radiations when exposed to a vacuum in space. The major motivation for studying tardigrades on exoplanets is that tardigrade proteins could provide human DNA with protection from harmful cosmic radiation, which will be helpful in future space travel. In our research, we used a similarity index technique for tardigrades to potentially survive on planets with water composition like Earth. The technique was previously used to find Earth-like and Mars-like planets outside our solar system (i.e. exoplanets). We have analyzed data from 3800 exoplanets from Planetary Habitability Laboratory – Exoplanet Catalog maintained by the University of Puerto Rico, Arecibo, which consists of raw data from CoRoT mission of ESA [France] and the Kepler mission from NASA [USA]. The detection of these exoplanets was done using radial velocity, transit, or occultation, gravitational microlensing, and direct imaging techniques. Here, 57 rocky-water or water-gas exoplanets compositions, including Earth and Mars from our solar system, were chosen and a similarity index technique was applied to all these exoplanets (refer to our paper for technical details). The geometrical means of the physical parameters used in the analysis were the radius, density, escape velocity, revolution period, surface temperature, and surface pressure. The weight exponent of each physical parameter was framed to the extreme survival ability of tardigrades. From the PHL-EC catalog, only rocky-water composition planets were chosen for the study. The two phases in which tardigrades could survive are namely: (a) Active Tardigrade Index (ATI) and (b) Cryptobiotic Tardigrade Index (CTI). The metric indices (i.e. ATI and CTI) were defined with minimum value 0 (tardigrades cannot survive) and maximum 1 (tardigrades will survive in their respective state). Values ranging from 0 to 1 indicate the percentage or chance of the active or cryptobiotic tardigrades surviving on a given exoplanet. The results were obtained, with Mars as the threshold, indicating that Mars could be the only rock-water composition planet that could be more suitable for tardigrades than other considered exoplanets. Graphical representations of ATI and CTI are shown in the paper. The reason that no exoplanets are seen above the threshold value is due to the chosen sample having a much colder host star than our sun. To understand this cold temperature of the star, stellar classification needs to be followed. The stellar classification is such that we follow the temperature sequence in which the temperature (i.e. hot or cold) is denoted with respect to certain specified alphabetical characters. The letters from hot to cold stars are: O, B, A, F, G, K, M, and the mnemonic to identify this sequence is “Oh, Be A Fine Girl (or Guy), Kiss Me!” The cold stars are K and M type stars, and our Sun is a G-type star. For tardigrades to potentially survive on Mars in an active state is 75% (i.e. ATI = 0.75) and in a Cryptobiotic state is 82% (i.e. CTI = 0.82). The next closest exoplanets below Mars range is around 60% [They are namely: Kepler-100 d, Kepler-48 d, Kepler-289 b, TRAPPIST-1 f, and Kepler-106 e]. These findings are described in the article entitled Tardigrade indexing approach on exoplanets, recently published in the journal Life Sciences in Space Research.